After months of debates, campaign appearances, and television advertisements the field for the November general election is set. In the race for Governor on the Democratic side, Ned Lamont defeated Joe Ganim with over 80% of the vote. Ganim, the Mayor of Bridgeport, was a long-shot candidate. Ganim was elected Mayor of Bridgeport in 2015 for the second time. This was after serving 7 years in prison for public corruption during his first stint as Mayor. Lamont, who ran for the Senate in 2006 and Governor in 2010, called for party unity and said he is looking forward to the general election. With 5 candidates on the Republican side, the race was a tossup. In an upset, Madison businessman Bob Stefanowski won the 5-way contest with around 30% of the vote. Danbury Mayor Mark Bought was seen as the favorite, but only garnered around 20% of the vote and finished second. Stefanowski, who served as a top executive at General Electric and the CFO of UBS investment bank centered his campaign on eliminating the state income tax. Dozens of economists and experts have said that idea is far-fetched and would be difficult to implement. In the race for Lieutenant Governor, Susan Bysiewicz easily defeated Eva Bermudez-Zimmerman in the Democratic primary and Joe Markley defeated Erin Stewart and Jayme Stevenson in the Republican primary. Bysiewicz previously served as the Secretary of State and was running for Governor until Ned Lamont named her his running mate in May. Joe Markley, the conservative Senator from Southington, beat the more moderate Erin Stewart and Jayme Stevenson. For the rest of the under ticket Republican Sue Hatfield and Democrat William Tong won their primaries for Attorney General, Democrat Shawn Wooden and Republican Thad Gray won their race for Treasurer, and Republican Kurt Miller won the primary for Comptroller. 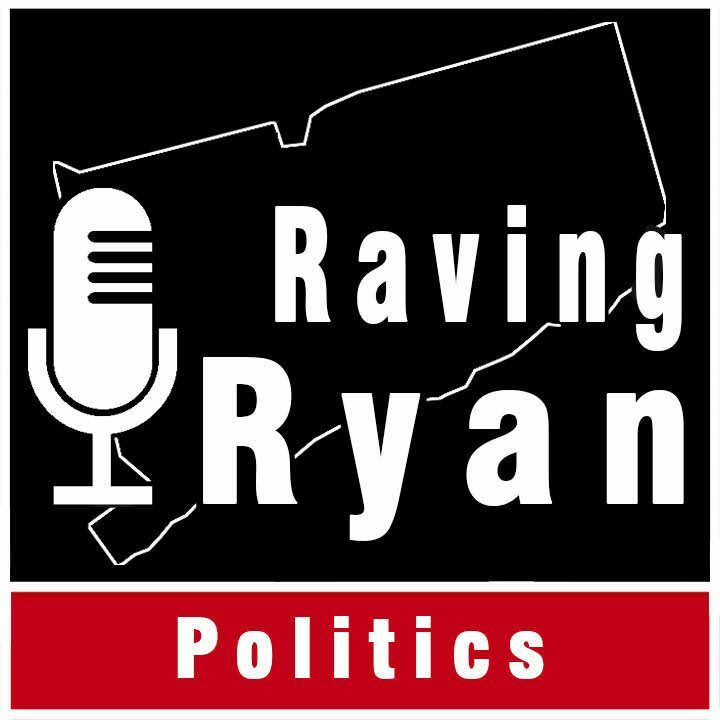 Matt Corey won the Republican primary for US Senate against Dominic Rapini with over 75% of the vote. In the primary for the 5th Congressional District Republican Manny Santos won and Democrat Jahana Hayes won. Hayes, a political outsider and 2016 National Teacher of the Year, beat political insider Mary Glassman with over 60% of the vote. The field is set and the campaigning for the general election will begin in just a few hours. The race for Governor has been listed as a toss-up by many political pundits. On November 6th the people of Connecticut will make a decision that will change the course of the state for decades. Congratulations to all the candidates that won and get ready for a long general election campaign. Beginning on May 1st, Governor hopefuls have been crisscrossing the state gathering signatures to get on the August primary ballot. Republican candidates who do not receive 15% of the delegates at the state convention have to gather around 9,000 signatures to get on the ballot. Democrats have to get around 15,000. As of Tuesday, June 19th, Republican candidates Bob Stefanowski and David Stemerman as well as Democratic Candidate Bridgeport Mayor Joe Ganim have qualified for the ballot. Stemerman and Stefanowski join Danbury Mayor Mark Boughton, Former Trumbull First Selectman Tim Herbst, and Tech Entrepreneur Steve Obsitnik on the Republican ballot. Joe Ganim joins Ned Lamont on the Democratic side. Former Bill Clinton aide Guy Smith only has 5,000 of the 15,000 certified signatures as of Tuesday, June 19th. Smith says he has received enough signatures but they have not been sent to the Secretary of the States office from local registrar of voters. In what is a crowded race on the Republican side, voters have a choice of three outsiders and two politicians. Stefanowski, Stemerman, and Obstinik all credit their business experience in their campaigns for Governor. The race favors a politician as the three outsider candidates have not been able to differentiate themselves. All eyes were on the Democrats this weekend as they met for their state convention Friday and Saturday at the Connecticut Convention Center in Hartford. The windowless, concrete floor room was a stark contrast to the Republican convention at Foxwoods. The Democrats endorsed Ned Lamont for Governor, Susan Bysiewicz for Lieutenant Governor, Shawn Wooden for state treasurer, William Tong for Attorney General, Denise Merrill for Secretary of State, and Kevin Lembo for state Comptroller. Their were no surprises in the race for Governor as Ned Lamont took almost 90% of the vote. Bridgeport Mayor Joe Ganim missed the 15% threshold to qualify for a primary and will continue his petition drive to get on the ballot. Greenwich businessman Guy Smith attended the convention but choose to not be nominated and will try to petition his name onto the August primary. One week ago, there were no Democrats running for Lieutenant Governor. That changed when Susan Bysiewicz decided to switch her candidacy from Governor to Lieutenant Governor. 31 year old union organizer Eva Bermudez-Zimmerman was the story of the convention receiving around 40% of the vote compared to Bysiewicz’s 59%. Zimmerman was a stranger to many delegates but was able to work the floor at the convention. State Representative Charlie Stallworth, who entered the race Friday, received just over 1% of the delegate vote. Bysiewicz will face Zimmerman in a primary in August. In the race for Attorney General State Representative William Tong got the party endorsement but will face a primary against former prosecutor Chris Mattei. The race for treasurer was the most crowded race with four candidates vying for the nomination. Shawn Wooden, the former President of the Hartford City Council, received the endorsement but will face Dita Bhargava and Arunan Arulampalam. Incumbent Comptroller Kevin Lembo and Secretary of the State Denise Merrill were both easily able to receive the endorsement with no primary challengers. There was a change in the voting for the convention. Instead of each town announcing their votes individually, the head of each town delegation entered the results electronically. This proved to be an issue at first, but party officials were able to solve any problems that existed. The new voting method took away almost all of the excitement from the convention. With no towns announcing their votes aloud, their were prolonged periods of silences as town delegation chairs waited to enter their results on the computer. With almost nothing to do and little to no entertainment some delegates left. When the nominations for State Treasurer began a large portion of delegates had left. The old method of voting where each town would announce where their votes went provided excitement and engagement. The issue of diversity on the ticket was looming over party members. Many people were unhappy with Ned Lamont’s pick of Susan Bysiewicz as his running mate saying the party needs more diverse candidates. Eva Bermudez-Zimmerman a Puerto Rican union organizer said she brings that diversity to a ticket. With what is looking to be a crowded primary for the Republicans, the widespread support for Lamont could be beneficial for Democrats. But many Republicans say they are happy with Lamont as the candidate calling Democrats hypocrites for criticizing wealthy self-funded Republican candidates in the past. It is going to be a summer full of television ads and door-knocking with primaries for multiple offices on both sides of the aisle. However, the question is if candidates can get voters to the polls on a hot day in August. At a joint press conference in New Haven today, Susan Bysiewicz formally announced that she will be joining Ned Lamont as his running mate. Bysiewicz, who was running for Governor said she thought part unity was important going into the democratic state convention this Saturday. With the exit of Bysiewicz, Bridgeport Mayor Joe Ganim and former Veteran Affairs Commissioner Sean Conolly are the only democrats besides Lamont competing in the convention. Businessman Guy Smith will be skipping the convention and is currently trying to petition his way on to the ballot. While they say they are a team, the primary races for Governor and Lieutenant Governor are separate races. There are no other Democrats seeking the Lieutenant Governor nomination, New Haven Senator Gary Winfield has expressed interest in running. Many Democratic insiders were disappointed in the choice of Bysiewicz as Lamont’s running mate saying they wanted a more diverse ticket. Both Bysiewicz and Lamont said they will be committed to building a diverse administration if elected. Bysiewicz, who has served in the State Legislature and as Secretary of the State brings the necessary state government experience to Ned Lamont. The announcement came as a shock to many who were anticipating Bysiewicz to enter an August primary for Governor. After months of waiting and speculation, Mark Boughton won the Republican endorsement at the state convention at Foxwoods Resort and Casino. With a field of 10 candidates it was difficult to know who would make it to the primary. While the state convention is a place where candidates can qualify for the primary, it is really a place for Republicans to gather and hopefully unify for the general election. This was not the case yesterday at Foxwoods. There are 10 candidates vying for the Republican nomination. However, only 8 candidates participated in the convention. Greenwich businessman David Stemerman and Madison businessman Bob Stefanowski choose to bypass the convention and collect 10,000 signatures from registered Republicans to qualify for the primary. The candidates who participated in the convention were Mark Boughton, Mike Handler, Tim Herbst, Mark Lauretti, Peter Lumaj, Steve Obsitnik, Prasad Srinivasan, and David Walker. To qualify for the primary at the convention candidates needed to receive at least 15% of the delegate vote on any of the ballots cast. A change from previous conventions was that in order to move on after the first vote, a candidate needed to receive at least 8% of the vote and 15% after the second vote. As the first ballot was underway candidates were scrambling across the convention floor trying to make deals and retain as well as gain delegate support. After the first ballot the field thinned to 6 people. Mike Handler only received around 4% of the vote and State Representative Prasad Srinivasan missed the threshold by 1 vote with 7.94%. Srinivasan endorsed Tim Herbst for Governor while Handler may try to collect signatures to get to the primary. On this ballot both Danbury Mayor Mark Boughton and former Trumbull First Selectman Tim Herbst qualified for the primary. The excitement continued as the second round of voting started. With 6 people remaining it would be a tall order for a candidate to receive the needed 50% for the endorsement on this ballot. The surprise from this ballot was the vote tally of Steve Obsitnik. The Westport tech entrepreneur and Naval veteran was able to receive just under 18% of the vote, qualifying for the August primary. Former US Comptroller General David Walker, Shelton Mayor Mark Lauretti, Peter Lumaj were all eliminated in the second ballot. Lauretti is considering a petition drive while Lumaj and Walker ruled out the option. The balloting for Governor began at 1pm and it was approaching 6pm as the third ballot started. Delegates were tired and many wished to spend some time at the casino just steps away. Steve Obsitnik, Mark Boughton, and Tim Herbst all made it to the third ballot. As the third ballot went on it looked like they would have to do a fourth ballot to get an endorsement. This is when the real excitement started. After the third ballot was completed Boughton and Herbst had around 40% each with Obsitnik at 20%. As the rules stated, delegates could switch their vote after the regular voting was complete on the ballot. Slowly Mark Boughton started to gain delegates from Herbst and Obsitnik. Boughton eventually reached 50.14% of the vote which is 1.5 votes more than he needed. In order for Boughton to get the endorsement their needs to be a vote to close balloting for Governor. This is when chaos began. Herbst supporters were yelling “NO” very loud for the vote. In order to see what the vote was the room was cleared of all people besides delegates and media. A standing count vote was done and Boughton received the nomination. The third time was the charm for Boughton who has ran for the office three times now. The endorsement gives Boughton the top spot on the ballot and a lot of momentum. Herbst and Obsitnik also qualified for the August 14th primary. It is expected to be a crowded primary with a few more expected to gather signatures. Democrats are meeting next Friday at the Hartford Convention Center and Saturday for their state convention.